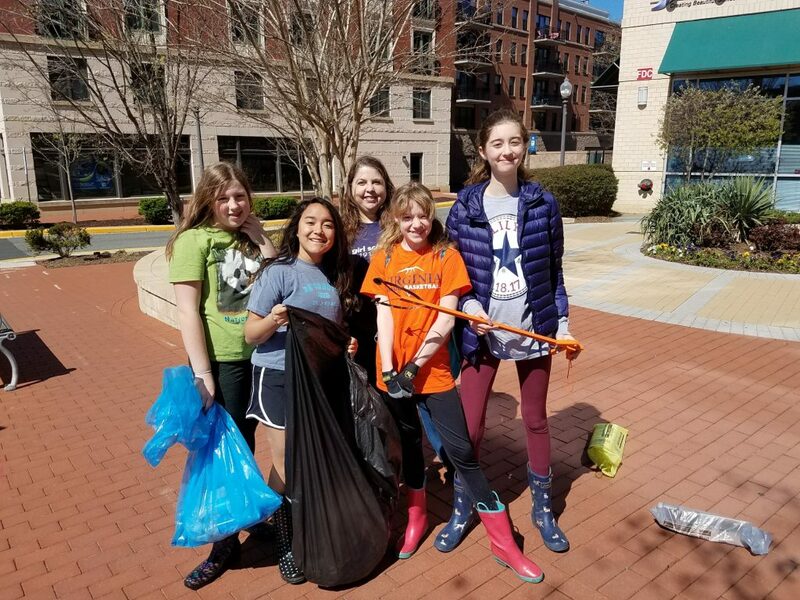 The City of Falls Church hosted a community cleanup on April 8 2017. We had a great turnout with 86 residents participating and removing 20 bags of trash and recyclables from our open areas. A big thanks to the Falls Plaza Starbucks who powered the event with free coffee and Girl Scout Troop 676 (pictured) who led the check-in table. Thanks to all our partners for making this annual tradition a success!